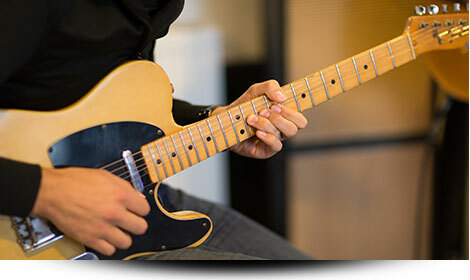 Anyone can quickly learn how to play scales on guitar by spending some time studying and practicing the basic scales. This guide breaks down and simplifies everything you need to know to make it easy for you to learn guitar scales. A scale is a group of notes distinguished by different distances between notes, depending on the type of scale. The note of the scales are separated by half-steps, whole-steps or other intervals. One of the most common scales in occidental music is the major scale. From that scale we can get a lot of relative scales, like the natural minor and the modes. Going through and practicing each of the core scales is the best way to learn guitar scales. This scale is also called the Ionian Mode, it’s one of the diatonic scales, meaning that it has five whole steps or tones and two half steps and is a must to learn if you want to understand how to play scales on guitar. The most simple scale is the C major, which is the only major scale that doesn’t have any sharps or flats. This is a 5 note scale, hence its name “Penta” and is the next most useful component for fully understanding guitar scales. Diatonic scales have 7 notes, but if you take off the 4th and the 7th note you get a major pentatonic scale. So let´s compare the C major scale with the major pentatonic. For the minor scale it is the same, but starting from the 6th degree or note of the C major scale. 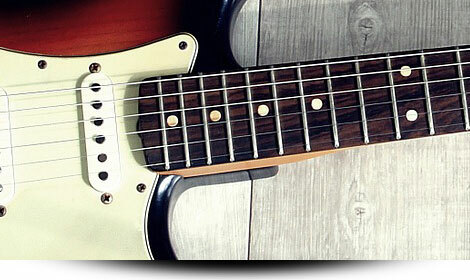 Other scales used in blues are the natural minor or major and its modes. This is a minor scale with a major 6th but still an important guitar scale to learn. A good way to see the structure and from where it comes from is by checking it from the C natural major scale. Dorian mode starts on the 2nd note of the major scale. The Dorian mode is perfect for minor blues progressions, especially for playing over minor 7th chords. This is a minor scale with a minor 2nd. Let’s check its structure. Phrygian mode starts on the 3rd note of the major scale. This mode can be also used as Dominant. This is the 5th mode that comes from the harmonic minor scales. Besides having a minor 2nd, it has a major 3rd. This is a major scale with an augmented 4th. Let’s check its structure.The Lydian mode starts on the 4th note of the major scale. This is basically a major scale with a minor 7th. 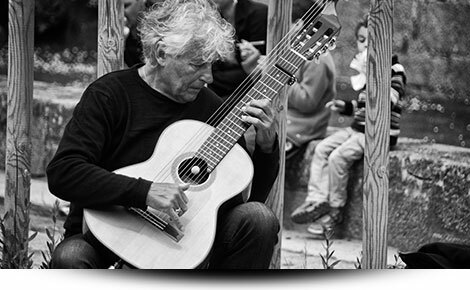 Let´s check its structure.The Mixolydian mode starts on the 5th note of the major scale. The Mixolydian mode is perfect for major blues progressions, especially for playing over dominant 7th chords. (We already learnt this scale earlier)So this another diatonic scale, also known as the natural minor scale. It has a minor 3rd, 6th and 7th. The Aeolian mode starts on the 6th note of the major scale. This another minor scale, but it includes a minor 2nd a diminished 5th. This mode is not used often. The Locrian mode starts on the 7th and last note of the major scale. Harmonic minor scale has the same notes as the natural minor scale, except for the 7th degree or note, which is raised by a semitone. This is slightly more advanced but will really help in understanding how to learn scales on guitar. Let’s use A minor as the root note. As the name indicates, it’s a locrian mode with a major 6th. So this is just like a normal Ionian or major scale, but it has a sharp or augmented 5th. Actually we already learnt this mode when we reviewed the Greek modes. Naturally, this mode is minor, but it’s pretty common to use it as major. It’s a lydian mode with an augmented 2nd. It’s a minor scale with a major 6 and 7th. If you get this, then you’ll be learning how to play guitar scales in no time. This is an 8 note scale that is built by all whole and half tones. Basically, there are 2 ways of use it. Over diminished and over dominants chords. The one used over diminished chords is also known as Whole-Half diminished scale. And the one used over dominant chords as Half-Whole diminished scale. This is a symmetrical scale built by 6 notes which are separated by whole steps. 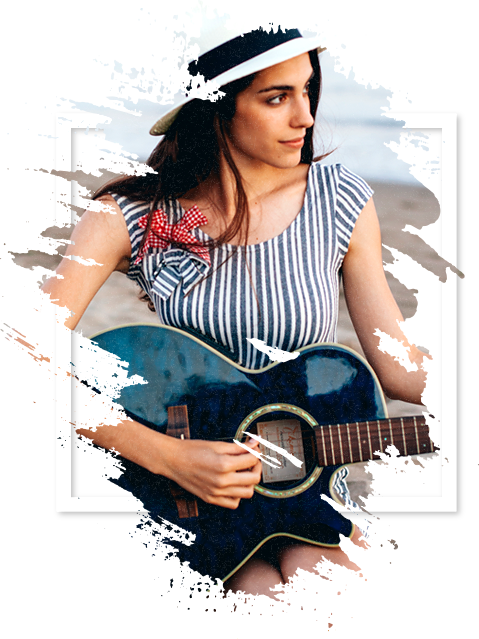 This is what we recommend for learning how to play guitar scales for beginners. This is an 8 notes scale, actually it’s the same scale as the diminished scale. This is a pentatonic scale, it doesn’t have a 3rd so it can work as major or minor. This is a minor scale, also known as Hungarian minor. This is a minor scale. This is a dominant scale also known as the Spanish gypsy scale (or Dominant Phrygian). 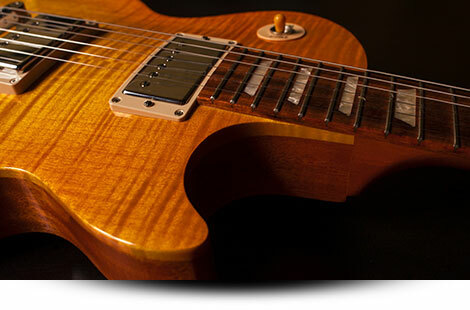 You’ve Learned the Core Guitar Scales, Now What? Learning guitar scales is just the first step. From here it simply takes lots of practice. 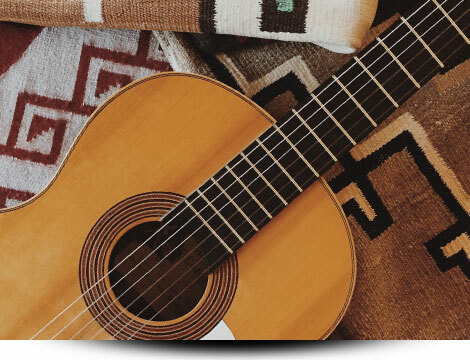 Even if you won’t be needing to use each and every scale for your purposes, it is good to practice and be familiar with each of them, at least to strengthen our understanding of guitar scales. With a solid week of practicing these scales each day, it should start to become second nature, and before you know it, you’ll have mastered how to play scales on guitar. Thanks for following along! Sign up to our newsletter for more great free guides. It’s a 5 note scale, hence the name of pentatonic. This scale is one of the most used ones since it’s pretty basic and easy to use. Also it’s the most used in blues music. The pentatonic scale is built by a root, a minor 3rd, perfect 4th, perfect 5th and a minor 7th. In A minor, the notes are: A, C, D, E and G.
This is the scale you will use to improvise over a minor, minor seventh or dominant seventh chord, depending on the music context. This is a diatonic scale, meaning that is an heptatonic scale which has 7 notes, made of whole and half tones. The natural minor is one of the most used scales in popular music and it’s built by a root or tonic, a major 2nd, a minor 3rd, a perfect 4th, a perfect 5th, a minor 6th and a minor 7th. In A minor, the notes are: A, B, C, D, E, F and G.
This is the scale that you will use to improvise or solo over a minor or minor seventh chord, depending on the music context. This is a familiar scale with the natural minor, both are diatonic with 7 notes. The difference between them is the 3rd, 6th and 7th which are majors. So it’s built by a root or tonic, a major 2nd, a major 3rd, a perfect 4th, a perfect 5th, a major 6th and a major 7th. In A major, the notes are: A, B, C#, D, E, F# and G#. This is the scale that you will use to improvise or solo over a major or major seventh chord, depending on the music context. This is basically a pentatonic scale with the add of an augmented 4th or diminished 5th. This is one of the most used scales in blues music. So the blues scale is built by a root, a minor 3rd, perfect 4th, augmented 4th, perfect 5th and a minor 7th. In A minor, the notes are: A, C, D, D#, E and G.
This is the scale that you will use to improvise or solo over a minor or dominant chord, depending on the music context. This is one of the modes that comes from the natural major or minor scale. It’s basically a minor scale with a major 6th. So this scale or mode is built by a root or tonic, a major 2nd, a minor 3rd, a perfect 4th, a perfect 5th, a major 6th and a minor 7th. In A dorian, the notes are: A, B, C, D, E, F# and G.
This is the scale that you will use to improvise or solo mainly over a minor or minor seventh chord, depending on the music context. This is another mode that comes from the natural major or minor scale. It’s a major scale with a minor 7th. So the Mixolydian scale is built by a root or tonic, a major 2nd, a major 3rd, a perfect 4th, a perfect 5th, a major 6th and a minor 7th. In A mixolydian, the notes are: A, B, C#, D, E, F# and G.
This is the scale that you will use to improvise or solo over a dominant seventh chord. Yes, scales are pretty important since they will help you to understand and know the notes that every tonality has. Besides using them to play melodies and improvising. 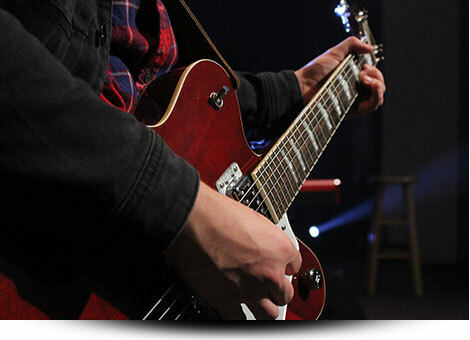 One of the most frequent questions of any beginner guitarist is “Are guitar scales important”? Of course they are! It’s really important to know at least the most important scales, like the pentatonic and the natural major and minor scales. Knowing the scale notes will help you to learn more about each tonality and of course, when you need to play lead guitar. Which means playing melodies or soloing. What are the 12 major scales? In occidental music there are 12 notes, so from one of these notes we can get different scales. For instance, the major scales. So we will have a major scale from the notes, C, C#(orDb), D, D#(or Eb), E, F, F#(or Gb), G, G#(or Ab), A, A# (or Bb) and B. How many scales are there on the guitar? Each one of these scales have their relative scales or modes, like dorian, mixolydian, lydian, etc. 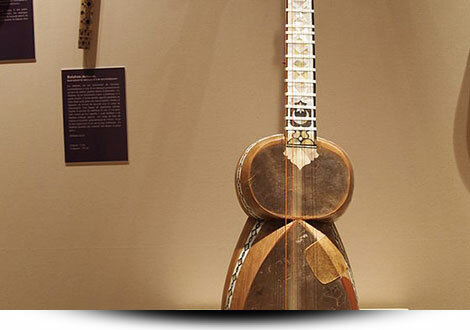 Also there tons of exotic scales from eastern music, like the Hirotoshi scale, Kumoi, etc. The conclusion is that there are hundreds of scales, knowing all of them is almost impossible. So the idea is to have a good understanding of the most useful scales. Such as the pentatonic and the diatonic scales and their modes. 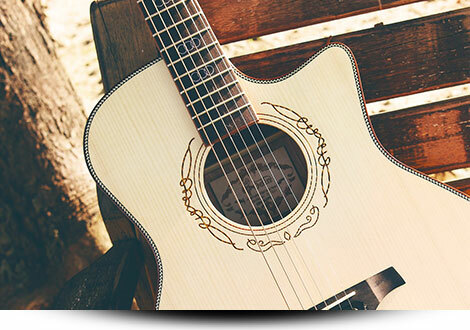 What is the chromatic scale on the guitar? In occidental music, there are 12 notes which are at a distance of a half tone. All these notes, are represented in the chromatic scale. 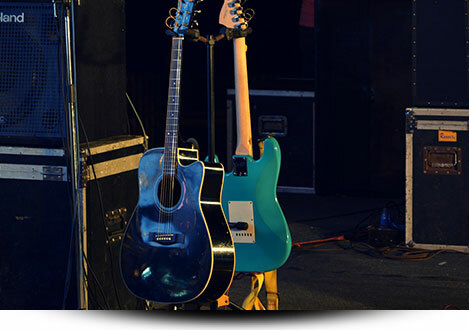 So what is the chromatic scale on the guitar? 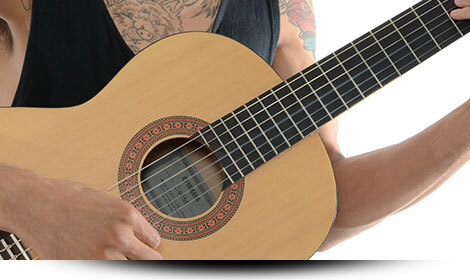 The chromatic scale on the guitar, has different roles. 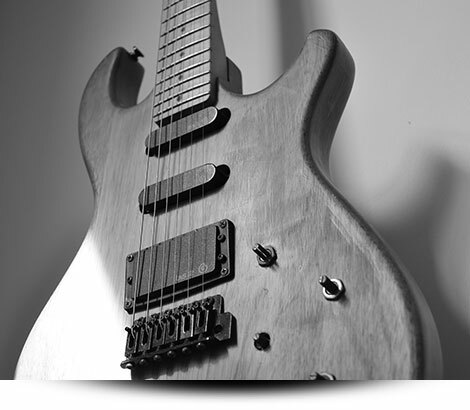 Firstly, it’s an awesome tool for learning all the notes on the fretboard. Secondly, it’s a great vehicle to practice technique. The chromatic scale, is one of the first technical exercises that any beginner will learn and practice. 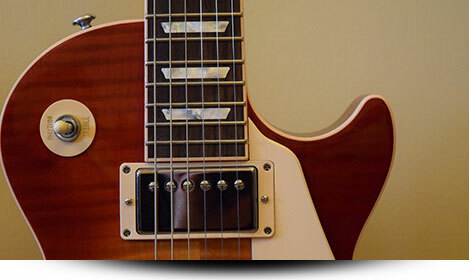 Also for getting speed, chromatic runs on all over the fretboard really helps to build a strong technique in both fretting and picking hands. And thirdly, chromatic lines are pretty used in jazz or jazz fusion improvisations. This is also known as passing tones. What guitar scales should you learn? 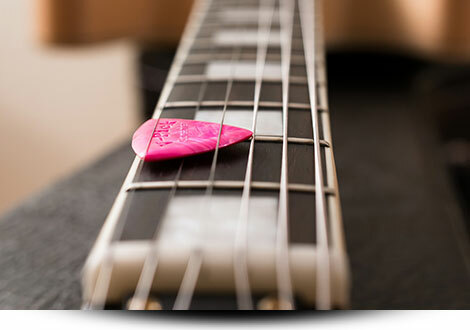 Learning guitar scales will depend on your goals as a guitar player. But also the style of music you like and want to learn. 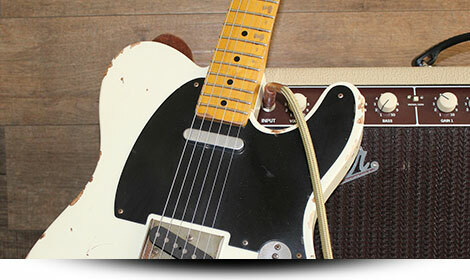 If you like blues you will want to learn the pentatonic and blues scales. If you like rock and pop you will learn the pentatonic and the diatonic scales (natural major and minor). If you are into jazz guitar, you will learn all the pentatonic scales, all the diatonic modes, the harmonic minor and the melodic minor. Also the diminished scale. 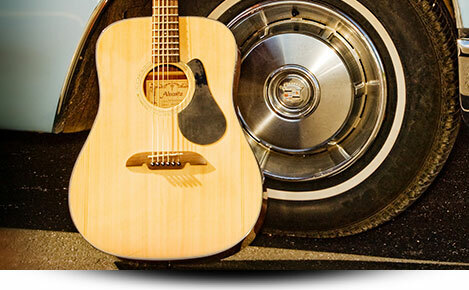 What are the scales on a guitar? In occidental music, there are 12 notes which comes from the chromatic scale. So from one of those notes we can get different type of scales. So basically, a guitar scale is a group of notes separated by different pitches, like whole and half tones (the most usual), etc. So for example, since there are 12 different notes, we will get 12 minor pentatonic scales. Or 12 natural minor, major, harmonic minor, etc. Also, from each note of these scales, you will get a different scale or mode. So let’s see what happens with a couple of scales as an example. What are the major scales? The major scale is one of the most used scales in western music. It’s a diatonic scale which has 7 notes. It’s built by a group of notes separated in whole and half tones. The natural major scale, also known as Ionian scale structure in tones is whole, whole, half, whole, whole, whole, half. Of course it’s not the only major scale, there are other ones like the major pentatonic, harmonic and melodic major scales. But the harmony of most of the occidental music we know is based in the natural major scale. What major scale has 1 flat? The F major scale has 1 flat (b) note, B flat. In standard musical notation, key signatures have a group of sharp (♯), flat (♭), and usually natural (♮) symbols. Some tonalities have more sharps or flats than others. Let’s see the keys with every note alteration in order from natural to most of the sharps or flats. 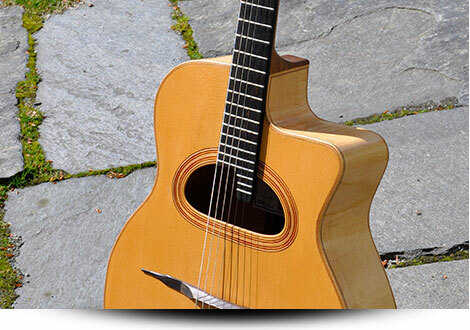 What is the pentatonic scale on a guitar? 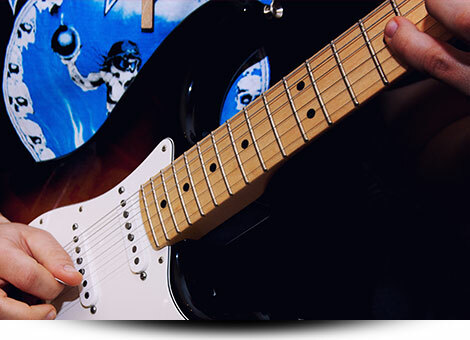 The pentatonic scale is one of the easiest scale and the most used in blues and rock music. It has just 5 notes hence the name of penta-tonic, meaning five tones. C, Eb, F, G and Bb. If you are a beginner player and want to start playing lead guitar, this is the right scale to start with. The pentatonic scale will work great to improvise over a minor, minor seventh or dominant seventh chord, depending on the music context. What is the diatonic scale? In Occidental music, the diatonic scale is a type of scale with 7 notes which, in its structure, has whole and half steps. More in depth, the diatonic scales have five whole steps or tones and two half steps. Some of the diatonic scales are the natural major scale, natural minor and all their respective modes (dorian, lydian, etc). The natural major structure or formula has the following steps, whole, whole, half, whole, whole, whole, half. The natural minor structure has whole, half, whole, whole, half, whole, whole. The non diatonic scales are the pentatonic, octatonic (like the diminished scale), whole tone, chromatic, also the exotic scales, etc. What is a natural minor scale? The natural minor scale is one of the most used scales in occidental music. It belongs to the diatonic scale family which has 7 notes. Also, these diatonic scales are built by a selection of notes organized in whole and half tones. The natural minor scale, also known as the Aeolian scale or mode which the structure in tones is whole, half, whole, whole, half, whole, whole. Also it’s important to know that every major scale has a relative minor. So the natural minor is built starting from the 6th note of the relative major scale. Which major key has 1 sharp? The tonality which has 1 sharp (F#) is G major or E minor, which is its relative minor scale. In standard musical notation, key signatures have a group of sharp (♯), flat (♭), and not so often, natural (♮) symbols. If the piece of music is in C major, which doesn’t have any alteration, the music staff won’t have any symbol. Some tonalities have more sharps or flats than others. The tonality which has 1 sharp is G major or E minor, which is its relative minor scale. How many keys are there in music? In music, the key refers to a group of pitches or scales that a piece of music is based on. In occidental music, there are 12 notes, hence there will be 12 major keys, plus their relative minor scales. So we could say that there are 24 keys. Although the major scale and its relative minor scale will have the same notes, therefore the same key. For example, the C major scale, has the same notes than its relative minor, which is the A minor scale. So they have the same key in the music staff, but it’s not the same. For instance, a song could be in the tonality of C major, or, in A minor. It’s common to say “this song is in the key of A minor” meaning that they could count as “other” key. Meaning that there will be a major key AND a minor key, regardless they have the same notes. That’s why you can count 24 keys in total. How many flats does G minor have? G minor has 2 flats, Bb and Eb. In music theory, key signatures have a group of sharp (♯), flat (♭), and usually natural (♮) symbols. Some tonalities have more sharps or flats than others. In the following list we will see the keys with every note alteration in order from natural to most of the sharps or flats. What are the five notes of the pentatonic scale? A Pentatonic scale is a musical scale with 5 notes, hence the name “Penta”, different to the diatonic scale which has 7 notes. 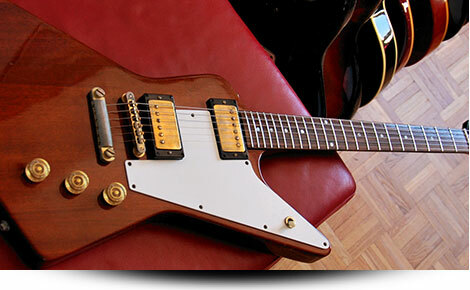 Then, depending on the note you play the scale, the structure will change. Pentatonic scales are some of the most basic and useful scales. 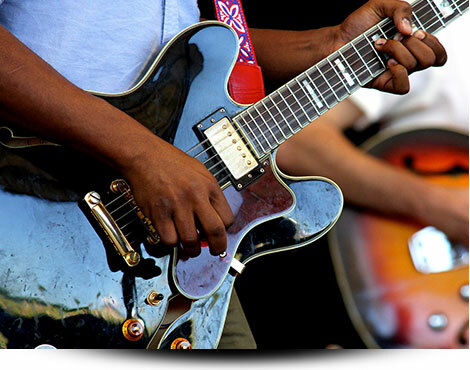 They work in several music styles, but they are used more often in blues, jazz and rock. The blues scale is an hexatonic scale, meaning that it has 6 notes. Those notes are basically the same than a pentatonic scale, which has 5 notes, plus the “blue” note. Depending if it’s minor or major, this blue note will be a fourth augmented (#4) or diminished fifth (b5) for the minor blues scale and a minor third (b3) for the major scale. Root or tonic (T), minor 3rd (b3), perfect fourth (4), diminished fifth (b5), perfect fifth (5) and minor seventh (b7). Root or tonic (T), major second (2), minor 3rd (b3), major 3rd (3), perfect fifth (5) and major sixth (6). There’s an easy way to relate these scales. The major scale will have a relative minor and the minor scale will have a relative major. So this means that if you know how to play one of them, you will be able to play its relative scale by just starting the scale on a different note. The relative minor scale starts from the last note of the major scale. Let’s see an example in C major. C D Eb E G A – So the relative minor will have the same notes but starting from the last note, A. 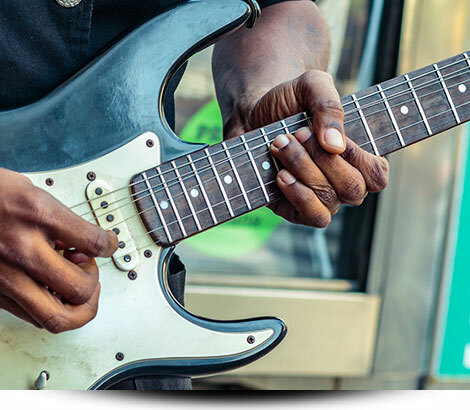 The blues scale is the most used scale for improvising over a blues progression. Also it’s often used in rock and jazz progressions. Aso, it’s pretty usual that the minor blues scale can be used over both minor or major chords. In music theory, a perfect fifth is the interval of 5 consecutive notes in a diatonic scale, starting from the first note (root or tonic). This perfect fifth is located at 5 semitones from the root or tonic, that’s why it’s called “perfect”. A fifth note can also be diminished or augmented, so that’s why you need to indicate what “kind” of fifth note is. In occidental music, the fifth note of the scale is one of the most important notes. From that scale degree is built the dominant chord, which is the main chord, together with the root, in any piece of music. Also, the fifth is one of the main notes in most type of chords. Such as majors, minors, dominant, etc. What is the difference between chromatic and diatonic scale? The difference between chromatic and diatonic scale is that the chromatic has all 12 notes which are used in occidental music versus the seven notes of the diatonic scale. In music theory, it’s common to take as reference the C major scale as the standard of the diatonic scale (heptatonic scale) and the most common harmony. So if we take the C note to represent the chromatic scale, the notes would be: C C# D D# E F F# G G# A A# B. So each note is separated by a semi or half tone. The diatonic scale is built by 5 whole tones and 2 half tones. Another big difference between these scales is that in the chromatic scale, every note has the same importance. But in the diatonic there are different level of relevance. The first, fourth and fifth are the most important notes. The natural scale or scales, refer to the diatonic scales. A diatonic scale is built by 5 whole tones and 2 half tones. The natural scale includes the major and minor scales. The scale by “default” is the C major scale. That’s the scale that any beginner will start learning to understand the basic tonalities. Once you understand these scales with all their modes, you can go on with more advanced scales, such as the harmonic and melodic minors. So all the chords and harmony in occidental music are based on the C major scale and all its modes. What is the Octatonic scale? The octatonic scale term refers to eight note scales. The most used octatonic scale is the commonly known as the Diminished scale. This scale is also known as the symmetric scale since it’s built by consecutives whole and half notes or vice versa. So there two ways of playing the diminished scale, one is starting with a whole tone, known as “whole-half diminished” scale. And the other one is starting with a half tone, known as “half-whole diminished” scale. In occidental music, the octatonic scale is used mainly in jazz music. So the “whole-half” diminished scale is commonly used to improvise over diminished seventh chords and the “half-whole” diminished will be used for improvising over dominant altered chords. The diminished scale is an octatonic scale, meaning that it’s an eight notes scale. The diminished scale is also known as the symmetrical scale. In modern and jazz music, the diminished scale is also known as the “whole-half” or “half-whole” scale. This is because it’s built by alternating whole and half tones. In jazz music, there are two kind of diminished scales. One to improvise over diminished seventh chords (“whole-half”) and one to play over dominant chords, usually altered chords (“half-whole”). Also, it’s common to use them over vamp chords to sound a bit outside of the tonality (vamp chord term means static progressions with one or two chords). What is the Locrian scale? The Locrian scale is the seventh mode of the diatonic major scale. 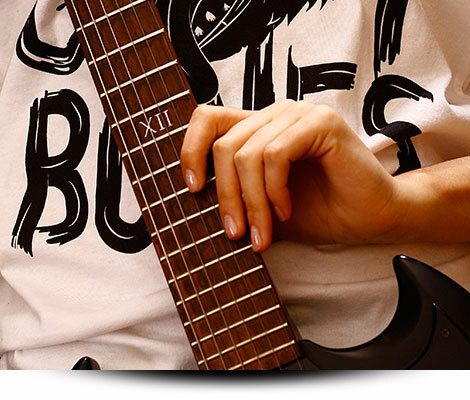 From each note or degree of the major scale, you can get a different scale or mode. From the first note (root or tonic) to the last one, the names of the Greek modes are: Ionian, Dorian, Phrygian, Lydian, Mixolydian, Aeolian and Locrian. The Locrian mode is a minor scale with a minor second, a diminished fifth and a minor sixth. In a natural minor scale, the locrian mode starts from the second note or degree. The locrian mode is mainly used to play over a diminished chord, since it has a minor third and a diminished fifth. What is the Heptatonic scale? The heptatonic scale are seven note scales. In occidental music, some of the most known and used heptatonic scales are the diatonic ones. These are the natural major, minors and all its modes. Diatonic scales are made of whole and half tones. Actually 5 whole tones and 2 half tones. There are also other heptatonic scales, another used ones are the harmonic and melodic minors, especially in jazz music. The harmonic minor is basically a minor scale with a major seventh. And the melodic minor is a bit more complex, it has a major sixth and seventh. The harmonic minor is also pretty used in heavy metal music, especially its mode called “Phrygian Dominant”, which is the fifth mode. This scale or mode is also used in Flamenco music. What is the bebop scale? This scale comes from the dorian mode and it adds a passing tone between the minor third and the perfect fourth. This scale comes from the Ionian mode and it adds a passing tone between the perfect fifth and the major sixth. This scale comes from the mixolydian mode and it adds a passing tone between the seventh and the root. As its name indicates, this comes from the melodic minor scale and it adds a passing tone between the fifth and the sixth note. This one adds a passing tone between the sixth and the seventh note. The dominant scale is basically a scale which main notes are the root, major third and minor seventh. Then it can have several variations. The most basic scale, is the one that comes from the fifth degree of the natural major scale. That scale or mode is called “Mixolydian” and it’s basically a major scale with a minor seventh. Then there are many dominant scales to use on different kind of dominant chords. The Lydian b7 scale: This is the fourth mode of the melodic minor scale and it’s basically a lydian scale with a minor 7th. A lydian scale is a major scale with an augmented 4th. The Mixolydian b6 scale: This is the fifth mode of the melodic minor scale which, as the name indicates, it’s basically a mixolydian scale with a b6 (b13) note. The Altered or Super Locrian scale: This is the seventh mode of the melodic minor scale. This one is used over altered chords and the main notes are the b2(b9), b3 (#9), b5 (#11) and b6 (#13). The Whole Tone scale: This is an hexatonic scale meaning that it has six notes which are all separated by a whole tone. The main notes are the b5 and b6 (b13). What is the Phrygian scale for? The Phrygian scale is one of the modes of the diatonic scale. It’s the third mode of the seventh notes of the natural major scale and the fifth mode of the natural minor scale. The Phrygian mode is a minor scale with a flat 2th so it’s commonly used on minor or minor 7th chords. The Phrygian scale can be also major, but that’s the fifth mode of the harmonic minor scale. The Phrygian major scale is actually use to play over dominant chords (7, or 7b9) since it has a minor 7th note. 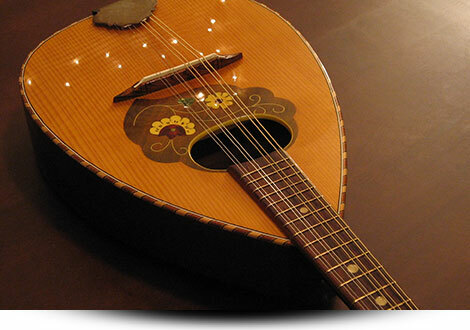 The Phrygian major mode is pretty used in heavy metal and flamenco music. What is the Lydian scale? The lydian scale is the fourth mode of the natural major scale and the sixth of the minor. It’s basically a major scale with an augmented fourth (#4). The main notes that makes an scale major are the major third (3) and seventh (#7). The Lydian harmony is pretty used by rock guitar players like Joe Satriani and Steve Vai but also for film score composers. What minor key has one flat? D natural minor scale has 1 flat (b) note, B flat. Some tonalities have more sharps or flats than others. Let’s see the major keys with their relative minor scales with every note alteration in order from natural to most of the sharps or flats. What is the arpeggio of a scale? An arpeggio is actually a chord which their notes are played in sequence. 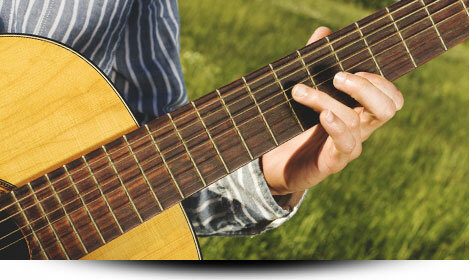 There are many ways to play arpeggios, one of them is for rhythm playing, for playing acoustic songs for example. Another important way is for guitar soloing. It´s used to outline chords in a soloist improvisation, no matter the instrument played. Jazz music is one of the most difficult styles to improvise, so jazz soloists must have a very good understanding and knowledge of harmony, chords and arpeggios. This will allow them to play interesting and refined lines in their improvisations. What is the difference between a scale and an arpeggio?